A contractor that takes a long time to return calls is someone that could be very busy. On the one hand, that’s a good thing but it can also shut you out of potential work. Plus, if you are not responding to the customers you are already working with, then you’re going to generate some bad will. Yes, your day can be very busy but the reason you carry a cell phone around is to have access to all your customers both current and future. Try not to let a day go by without returning those calls. Seek out accreditation with various contractors associations. That will go a long way towards beefing up your resume. It helps legitimize your business and proves to your customers that are serious about the industry. Those various organizations are also a good checkpoint for your customers. There are ways to look at analytics to show how many people are looking at your website and when their viewing. Although you might not have the same kind of steady traffic as a restaurant or shopping website you still want to make sure your presence online is strong and professional looking. Your greatest asset would be a gallery of previous work. That is something to keep updating. If you can add a blog with helpful hints about DIY projects, then you could drive even more traffic to your site. The best contractors of the ones that can handle a lot of different types of work. A building contractor could also dabble with landscaping. An electrical contractor might know about plumbing repair. Those are the kinds of things you can jumping at a job and create a very loyal customer. Keeping your job sites clean is crucial. A homeowner doesn’t want to return to their home to find amount of construction waste piled up on the patio. Instead of pulling guys off your job for that type of removal, you can hire Junk King Pittsburgh. These are the junk removal professionals that have a lot of experience clearing all kinds of construction waste from a variety of job sites. 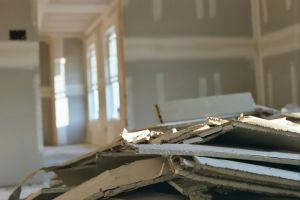 Put Junk King Pittsburgh to work clearing your job sites and watch how quickly your contractor business expands. This entry was posted in Pittsburgh Junk Removal and tagged contractor, Junk King, Junk King Pittsburgh, junk removal on July 26, 2017 by Junk King. Last updated July 26, 2017 .